River Flow Yoga and Wellness: Strengthen, Heal, Connect, and Calm Your Mind, Body, and Soul. Includes complimentary mat and tea! 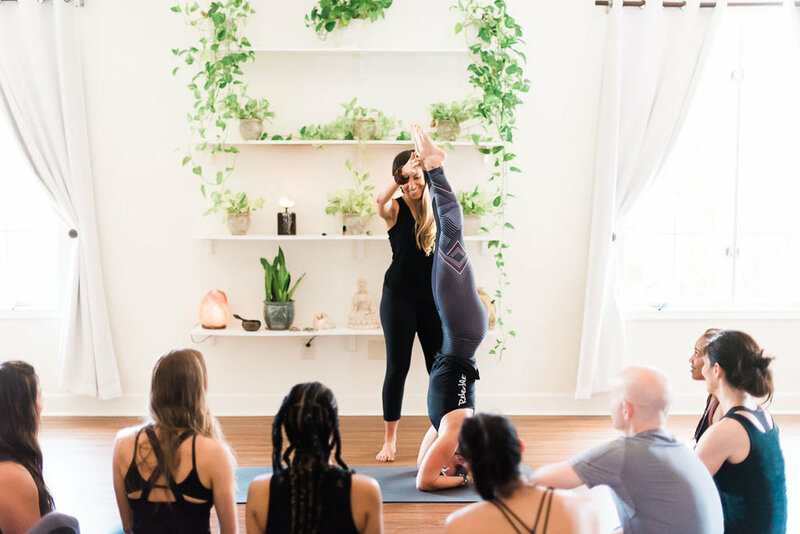 Our yoga studio was established for those in our community seeking positive change, so they may strengthen their bodies, calm their minds, connect with others, and transform their lives. Yoga is for everybody and every body, and it can play a crucial role in maintaining a healthy, balanced lifestyle. The focus is on YOUR journey. No matter how you currently feel or what you’re capable of, you can start today and soon reap yoga’s many physical, mental, emotional, energetic, and spiritual benefits. Our teaching philosophy is non-dogmatic and does not conflict with any prior belief systems. In fact, a consistent yoga practice will enhance your belief system, so whatever you bring to the mat is yours to improve or release, and our staff will be here to support your journey of self-discovery, healing, and positive transformation. I have been to many different places to workout and nothing compares to River Flow Yoga. It is welcoming and relaxing and I have never sweat like that during any kind of workout! It centers your mind and body, and I think I finally found my workout home after trial and error at many other places! If you have ever thought about yoga I encourage you to do a drop into class and you will return for more! - Savanah S.
The simple answer? Everyone can! We have welcomed everyone from teens to 70+ from all walks of life. Collectively, they've used yoga to improve their physical and mental health, develop and enhance their relationships, experience more peace and joy in their daily lives, and so much more! Yoga isn't just another group fitness class. Yes, you will get workout. In fact, you may work your body in ways you haven't done in years (maybe decades)! But it's our goal to hold the space, so you practice safely and mindfully. Have no fear! You're not going to get in trouble for "doing it wrong" or be expected to "push through the pain!" or be forced into contorted positions your body just can't do. Instead, we're giving y'all permission to start where you start and go at your own pace without the judgment. Yoga is a challenging practice, but it will always be your choice to accept the challenge or take a breather, knowing you can face these challenges head on with the full support of our encouraging community, because, hey, we're all dealing with our own flaws, issues, and dramas, too! But together, we can rediscover how capable, powerful, and compassionate we really are! So whether you're looking for physical improvement, a calm mind, new health goals, recovery from illness or injury, or something new, we absolutely know yoga will improve your life. Let us help you take your first step on the mat! My husband and I think of the River Flow tribe as part of our extended family. Every time we attend a class we are met with warm embraces, beautiful smiles and kind words. It is a privilege to be a part of the River Flow community. I continue to practice yoga for flexibility, strength, breath, grounding and much much more! - Carol D.
Located Columbus, Georgia, our studio offers yoga classes primarily rooted in Vinyasa (Flow) Yoga, where we connect our breath with mindful movement. However, we integrate styles and philosophies from all major lineages of yoga (Raja, Jnana, Bhakti, and Karma) to create a balanced practice that suits our modern needs. Our retail boutique is stocked with high-quality, functional, and fun yoga apparel and equipment. We also carry locally made body care products, herbal teas, local, organic coffee, cold-pressed juices and sparkling spring water, ayurvedic supplements, essential oil blends, and other items to enhance your lifestyle on and off the mat. Your personal belongings are safe in our cubbies during class, and there is also a dressing room and bathroom available. Complimentary tea, fresh towels, props, and mats are available for you, as well! We use natural cleaning products, diffuse essential oils, burn nag champa incense, and grow air-filtering plants to instill a calm and purifying atmosphere. River Flow has everything you could possibly ask for in a studio...[E]very detail and corner of their space has been thought out to make sure you are in a place of peace and harmony. The space is clean, accommodating, and the tribe is just the most welcoming community to every level of yogi. Whether it's your first time or you 1,000th time, you will leave floating on air with a feeling of wellness and light every time! - Tyler S.
Alee was twelve when she took her first yoga class, and she fell instantly in love. She continued her practice for over a decade before receiving basic teacher training while attending college in New York City. When she returned to Columbus (for the first time), she taught yoga at Toni's Dancing School to family and friends. Then one day, Ben came in for a class fresh off a 14-month adventure overseas. He, too, fell in love with yoga. But he also fell in love with his teacher. 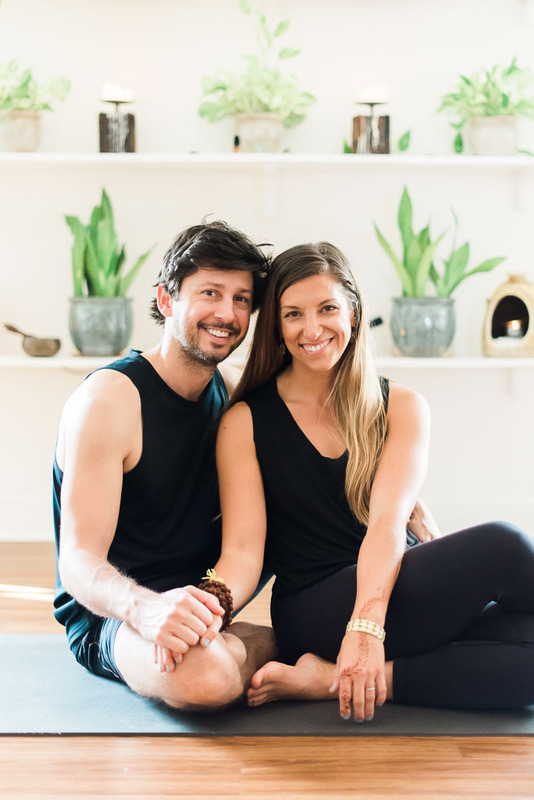 On October 31st, 2013, Alee and Ben opened River Flow Yoga and Wellness for its very first class. Since then, they have met some truly amazing people, heard beautiful stories of transformation, and seen the growth of an awesome yoga community in their home town. I was very nervous about taking a class. I have only taken one other yoga class in my life! But as soon as I walked into the door I felt peace and welcome. The instructor was great!! She gave modifications for certain positions that made the experience so much better for me. I enjoyed it! I will definitely be back! - Patrice R.